Our mission is to provide quality dental care and education that enhances the health and appearance of our patients for a lifetime. We aim to exceed our patient’s expectations with our care, service and results in a comfortable environment using current technology with proficiency. That is who we are as team, now here is a little about all of us individually. Dr. Beth Vander Schaaf, D.D.S. Dr. Vander Schaaf was born and raised in St. Louis, she attended the University of Iowa and attained her Bachelor of Science degree in Speech Pathology before graduating from The University of Iowa College of Dentistry and for her Doctor of Dental Surgery degree. Dr. Vander Schaaf continues a family legacy in the dental profession. Her grandfather practiced General Dentistry for nearly fifty years and was an instructor at St. Louis University. Her uncle is an Oral and Maxillofacial Surgeon in Honolulu, Hawaii and her sister is a Hygienist. Dr. Vander Schaaf is a member of the American Dental Association and is active with the Arizona Dental Association as a delegate, as well as offering several years as the chair of the Dental Health Committee and also serving as a Director on the Executive panel at the Central Arizona Dental Association. She is a member of the Academy of General Dentistry and is proud to be a F.A.C.E. graduate, The Foundation for Advanced Continuing Education. Dr. Beth has been a volunteer dentist at J.C. Lincoln Hospital’s Children’s Dental Clinic. Dr. Beth looks forward to meeting you and helping you look your best with a great smile. 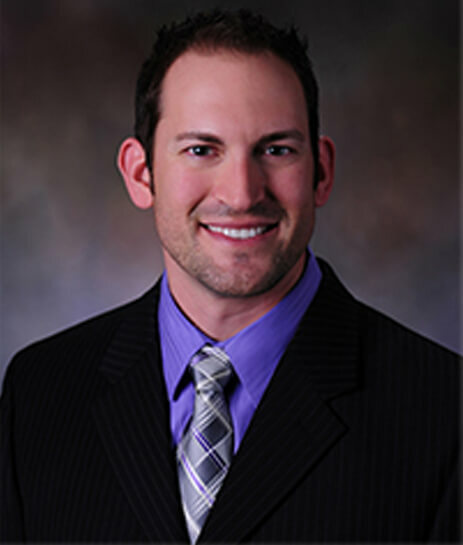 Dr. Brent Call has been practicing dentistry since graduating in 2004 from Oregon Health Science University in Portland, OR. He was accepted into a rigorous one year General Dental Residency program in San Antonio, TX, which focused on oral surgery, surgical dental implant placement, IV sedation, and treatment of medically compromised patients. He is currently a member of the International Congress of Oral Implantologists and holds certificates in sedation and pain management. For several years Dr. Call practiced in a private practice in Tempe, AZ. Recently, he focuses on providing surgical treatment for patients in the comfort of general dental offices throughout the Phoenix area. He prides himself on his extensive training in dental implant treatment and advanced surgical procedures. Dr. Call’s favorite aspect of dentistry is being able to help fearful patients achieve the dental care and smile they want through the use of IV sedation. Dr. Call is a native Arizonian, born and raised in Tempe, AZ. He currently lives in Ahwatukee with his wife and daughters. Dr. Call enjoys traveling, fitness, and outdoor activities like hiking and skiing. Dr. Roy Howard is a graduate of the University Of Washington Dental School, where he received the “Top Oral Pathology Award”. Dr. Howard trained extensively with anesthesia residents at the University Of Washington Medical School. He was then offered a residency to go into anesthesia, but decided to continue in general practice residency with the U.S. Public Health Service where he received extensive training, focusing on oral surgery, endodontics and periodontology. He was awarded “Resident of the Year”. Dr. Howard was chosen to be the Chief Dental Officer of a USPHS Clinic in San Pedro, California. During this two year period while being in charge of the USPHS Clinic he taught IV Sedation at UCLA for the Pedodontic Department, training students how to use IV Sedation to treat challenging kids in dentistry. Dr. Howard also engaged as an Associate in a Private Practice in Huntington Beach, California. He then bought a dental practice near Monterey, California. He practiced all aspects of dentistry for 29 years at the same location. He had a large practice, working with 12 employees and 4 hygienists. Dr. Howard excelled in the area of Endodontics (root canal therapy) and cosmetic dentistry, while incorporating impacted wisdom teeth and periodontal surgeries in his practice. Dr. Howard has had extensive training in Endodontics and has been solely treating teeth with non-surgical endodontic therapy, “Root Canals” only since 2012. He uses an Endodontic System, which allows him to perform root canal treatment efficiently, achieving comfort and generally shorter treatment times for patients. Personally Dr. Howard is married to his wife, Lynne and have 4 children and 11 grandchildren. Dr. Howard is a biking enthusiast whether he is riding his mountain bike or enjoying a spin class.